For my little sister’s sweet sixteen party, I decided to make a tower of cupcakes to accompany her birthday cake. 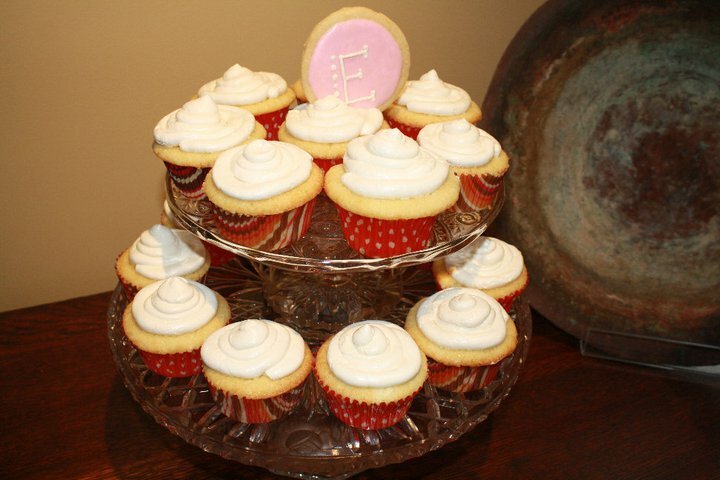 I wanted to keep the cupcake design and color scheme very simple, so I chose to do an all white vanilla cupcake with vanilla butter cream icing topped with pink monogrammed letter “E” sugar cookies (letter “E” for Ella). The cupcakes took forever to make since there were three parts to assemble (cake, icing, and cookie), but they turned out beautiful and even better yet, tasted delicious. At the time, I didn’t have a go-to recipe for vanilla cupcakes, so I headed straight to the internet to find one. I googled “best vanilla cupcakes” and the two most popular search results were Billy’s Vanilla,Vanilla Cupcakes and Magnolia’s Vanilla Cupcakes. After reading several blog reviews on both, I decided to go with Billy’s recipe and I was very happy with the result. I don’t even feel compelled to ever try Magnolia’s recipe. In fact, I’ve been to Magnolia Bakery in NY before, and thought the cupcakes were a little dry…thus my hesitation to try their recipe. Billy’s on the other hand, turned out super moist and very strong in vanilla flavor. The texture of the cake was really perfect and cooked true to the suggested time. Although I loved Billy’s cupcake recipe, I didn’t use his buttercream icing recipe (a lot of reviewers said it was too sweet), so I went with Martha Stewart’s Swiss Meringue Buttercream instead. It’s a perfect icing in my opinion, it has the flavor of a butter cream but it is much less dense than a traditional butter cream. 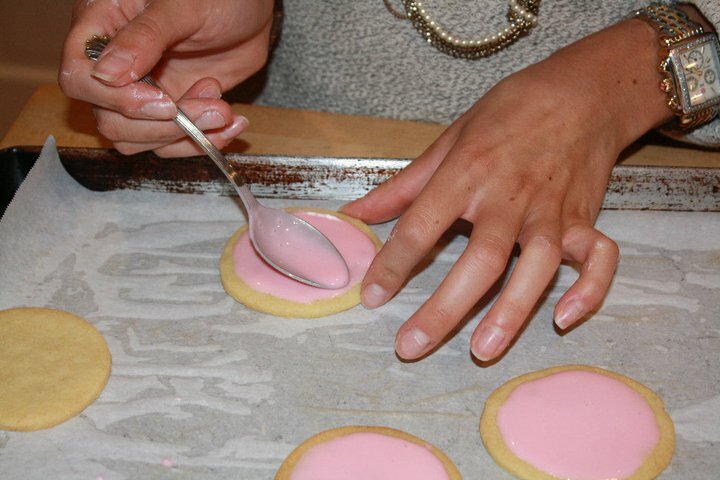 This extra fluffy texture makes it much easier to decorate using a pastry bag. The recipe follows. 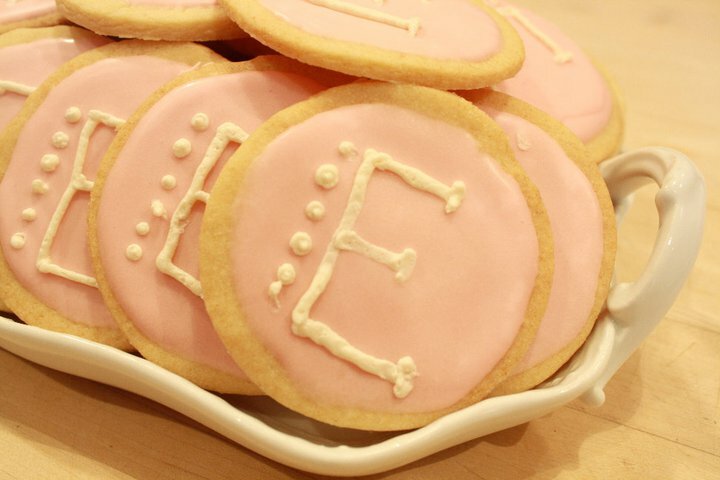 To decorate, I inserted a monogrammed sugar cookie with pink royal icing. The sugar cookies were more than just a decoration though because they were delicious independent of the cupcake. The royal icing was ridiculously sweet (as all royal icings are), but I found that adding a squeeze of lemon juice helps to cut the sweetness. The letters are piped in the same swiss meringue buttercream on top of the cupcake! Divide batter evenly among liners, filling about 2/3 full. (hint: I like to use an ice-cream scooper to distribute batter into pans because it does so neatly and evenly). Bake, rotating pans halfway through, until a cake tester inserted in the center comes out clean, 17 to 20 minutes. Transfer to a wire rack to cool completely. Once cupcakes have cooled, ice the tops and decorate. Serve at room temperature. 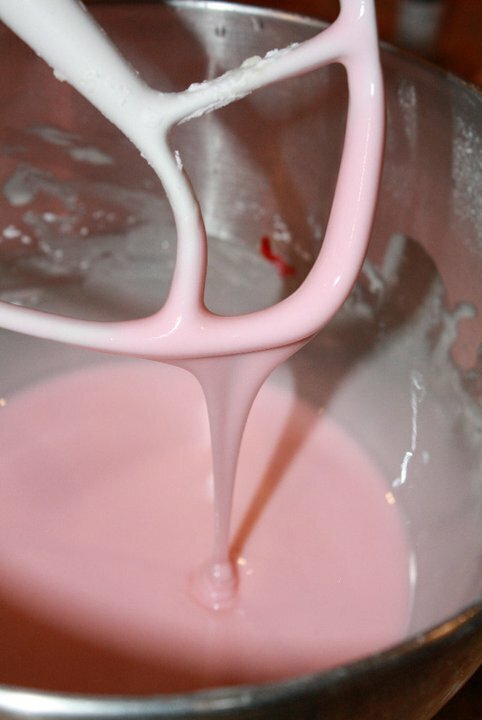 Put butter and sugar in the bowl of an electric mixer fitted with the paddle attachment. 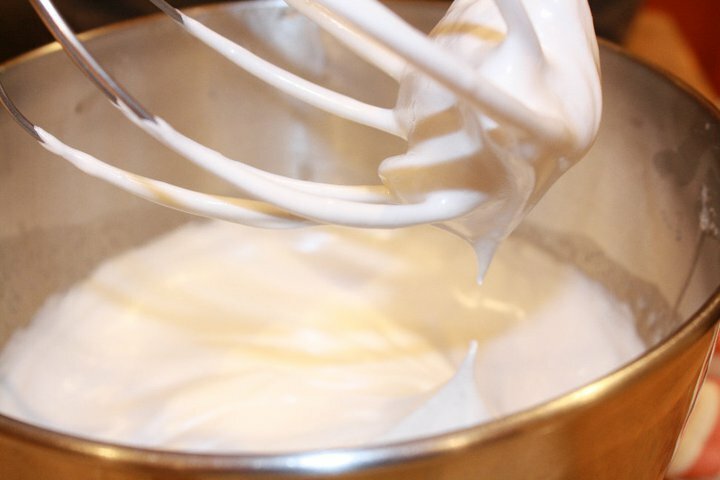 Mix on medium speed until pale and fluffy. Mix in eggs and vanilla. Reduce speed to low. Gradually mix in flour mixture. Divide dough into quarters; flatten each quarter into a disk. Wrap each in plastic. Refrigerate until firm, at least 1 hour or overnight. Preheat oven to 325 degrees with racks in upper and lower thirds. Let one disk of dough stand at room temperature just until soft enough to roll, about 10 minutes. Roll out dough between two pieces of plastic wrap to 1/4-inch thickness. Remove top layer of plastic wrap. 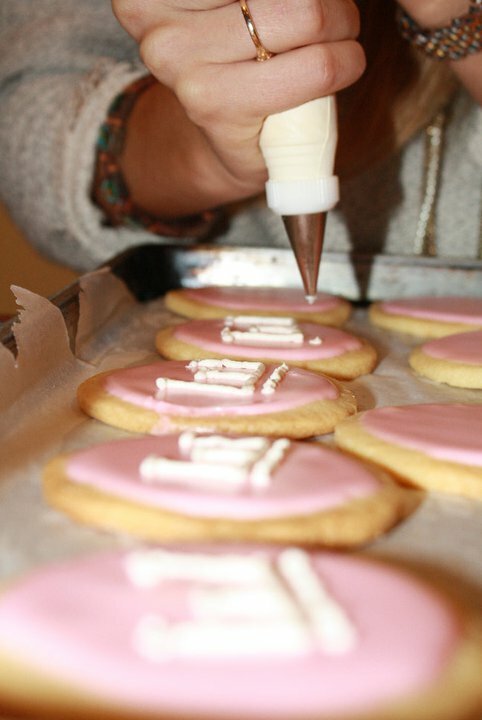 Cut out cookies with a 4-to-5-inch cookie cutter. Transfer cookie dough on plastic wrap to a baking sheet. Transfer baking sheet to freezer, and freeze until very firm, about 15 minutes. Remove baking sheet from freezer, and transfer shapes to baking sheets lined with nonstick baking mats. Roll out scraps, and repeat. Repeat with remaining disk of dough.